I filed a FOIA request with the Federal Communications Commission for all FOIA requests submitted from January 2014 until the present that were “withheld in full.” Which is to say, all FOIA requests that the FCC determined shouldn’t be released at all, even with redactions. Granted, many of the requests below don’t mean much to me. I’m certainly not an expert on FCC policy. But the list is pretty interesting, including requests for records on allegations that Hilton Hotels were jamming wifi (which they were), documents on Stingray cellphone spy devices used by law enforcement (which they are), and information about the absurdly high prices that prison inmates pay for phone calls (which is still obscene). All of the requests below, submitted by journalists and citizens, were denied in full by the FCC. The reasons for their denial were not provided to Gizmodo. Some denials, like an email address list of everyone who subscribes to the FCC’s Daily Digest seem like an appropriate move to protect the privacy rights of private citizens. Other denials, like an Office of the Inspector General’s report requested by the Center for Investigative Reporting, seem like an unwarranted veil of secrecy around information to which the public should have access. The complete unedited list is below. Let us know in the comments if you spy anything juicy we should follow up on. When it comes to FOIA requests it’s often just a game of patience, and Gizmodo has all day. Unredacted version of Performance Audit Report of Sorenson Communications. Memo dated 9/27/12. The Schematic Diagram, Block Diagram, and Theory of Operation submitted by Microsoft Corp on 8/16/05 pursuant to FCC ID C3K-WKS368, to the FCC in Columbia, MD. Schools and libraries funding Year 2014 Program Integrity Assurance FCC Form 471 Review Procedures, dated 12/9/13; modification email from USAC of 2/20/14. Reports, correspondence, electronic mail messages, or other documents containing or referencing the results of USAC’s IDVs for all ETCs that submitted FCC Form 497s to USAC during the period of 9/12 to the present. Market information on number of subscribers for wireless carriers and TV/Phone/ISP providers by state? I’ve read the competition reports and am looking for access to this type of information. Provide all documents indicating the amounts requested and paid to Sorenson Communications for VRS services provided during each of the years 2006-2014. All documents indicating Sorenson Communications’ known or estimated costs for providing VRS services during each of the years 2006-2014. Actions or reports filed by the Agent on Scene from Atlanta, GA, in concerns re: complaints filed re: radio equipment belonging to FLEC. Copies of the paid peering agreements between Comcast and Netflix and Verizon and Netflix. Also, copies of all other agreements ISP have with other companies that the FCC obtains as part of its inquiry into the interconnection market. Documents re: peering agreements between Netflix and any internet service provider, including, nut not limited to, copies of the agreements referred to by the Chairman. Any records in the Case. Any paper work filed with the DOJ. Any settlement with the FCC or DOJ. EB-09-LA-0026. Copies of past number portability contracts awarded to Neustar Inc. (formerly Lockheed Martin) from the FCC number portability administration. Copies of current contract proposals by Neustar Inc and Telcordia for the number portability administration. NeuStar April RFP; Telcorida April RFP; NeuStar September RFP; Telcordia September RFP and NeuStar October submission. EB to make available for inspection and copying that are labeled confidential for 11-71. Slides, memos, e-mails, or training materials issued to employees relating to the operation of electronic devices (computer, tablet, or mobile phone) issued since 2011. Internal FCC documents, including working papers, discussion papers, memos, meeting notes, and emails that deal with the topic of “wireless charging at a distance” using radio frequency in the IMS bands. Email address list, in spreadsheet form, of all people who subscribe to the FCC’s Daily Digest. Access to and copies of FCC telephone (call) logs from 1/1/09 to present. Documents related to the paid peering agreements between Comcast and Netflix, or the dollar amount of the paid peering between Comcast and Netflix. Copy of Task 1 deliverable, aka “Draft Plan” from the OceanEast Field Modernization consultant to the FCC. Documents re: to the bidding and evaluation process of the NAPM RFP. The process is being lead by the NANC and the SWG. All NANC and SWG records, report, transcripts, minutes, working papers, drafts studies, agenda, etc. Obama and Tom wheelers 332 page bill to regulate the internet. Requesting the 322 page proposed internet regulations. I am requesting a copy of the 332 pages law that pertains to the ongoing Net Neutrality decision that the FCC will be making in 120 days. We the people have not been able to see what it says, and if you are taking this time for public to comment on this, we need to know what it says before we can choose if this is right for our country or not. This is our choice! I didnt elect any of you into your position to make this decision for me! Please email or snailmail me a copy of the 332 pages of obamas plan to micro manage and take over our internet. Thank you. Requesting ~300 page document on Net Neutrality that the FCC voted on on 2/26/2015. I am requesting a copy of the open internet document that reclassified broadband comunications as a Title II service that was passed on February 26, 2015. Hello, I’m concerned about the FCC’s refusal to release their plans for regulation of the internet to the public. I’ve read the 5 page synopsis on FCC.gov, but it would make me much more comfortable knowing that everyone has had the opportunity to view the document in its entirety. 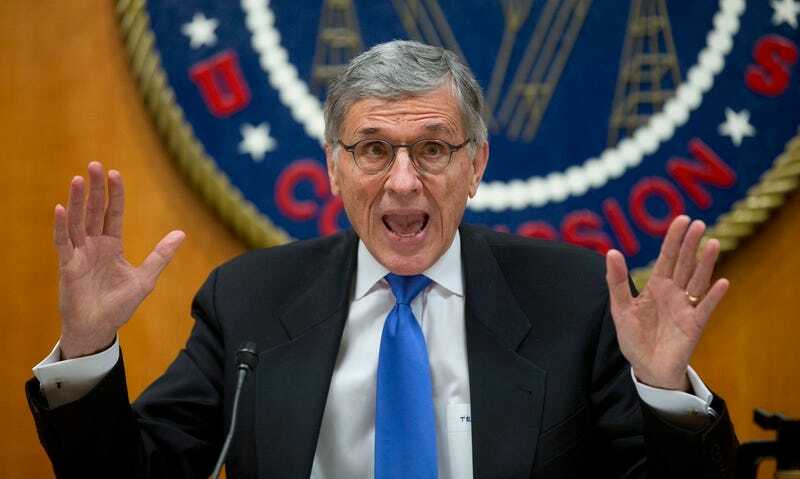 The FCC is being very irresponsible by allowing rampant speculation to run amok among an uninformed public, and with the publication of their plans many worries may be laid to rest. Thank you for your time. I want the full text of the new 322 pages of internet rules fully disclosed to the public that was passed by a 3-2 vote on Thursday, February 6th, 2015 by the FCC. In an open and transparent government the public should be able to view the full context of laws and rules that affect them. There is absolutely no reason to continue to keep the full context of these 322 pages of new rules secret. Requesting full text of the FCC’s Open Internet Order of 2/26/15 The full document was not available for public debate or scrutiny and has not since been released. I’m requesting, the Protecting and Promoting the Open Internet, GN Docket No. 14-28, revised 317 pages. Document created by the FCC around the recent Net Neutrality ruling? Law? Decision? I am making a request for the full 328-page Open Internet order voted on and adopted by the Commission on 2/26/2015. These documents should have been made publicly available the day the they were adopted. The document may be email to the above address a PDF format. Thank you! Formally filing a FOIA request to obtain a copy of the 300+ page regulation immediately. Requesting copy of internet regulation plan that was voted upon and approved by the FCC on February, 26, 2015. We seek a copy of the FCC’s 2015 Open Internet Order as it was on February 26th at the time of the Commission’s open meeting when it voted on and passed the order, 3-2. We would greatly prefer the document to be provided in either .doc or .xml file format, if possible, to allow for easy automated comparison between that version of the order and the final version of the order. I would like to obtain a copy of what Neustar’s bid was for the Local Number Portability Administrator contract. It has been made public what Telcordia bid. Therefore, I think it is only fair to know what Neustar bid. I request that a copy of documents and/or documents containing the following information be provided to me: —Any and all documents records of the Federal Communication Commission on IMSI catchers, including but not limited to the use by criminal gangs, foreign intelligence agencies, and any cases or complaints relating to spying on American citizens using this technology. I also request any documents that have been gathered by the Cyber Working Group on the possible misuse of tracking technology in the U.S.
FOIA Request Good afternoon - I am an investigative reporter with the International Business Times. I am writing to obtain “Cost Study Documents” submitted to the FCC on July 17, 2014 by Securus Technologies, a Dallas-based company. The submission was made as part of the FCC’s Mandatory Data Collection program for Inmate Calling Services (ICS). More specifically, the documents were submitted on July 17, 2014 in a letter from Counsel to Securus, to Marlene H. Dortch, Secretary, FCC, WC Docket No. 12-375. I am seeking primarily the un-redacted “Cost Study Documents” attached to that letter, but also the content of that correspondence as well. On Oct. 1, 2014, Julie A. Veach, Chief, Wireline Competition Bureau (DA 14-1432) denied Securus’ Objection to Disclosure of Confidential Information (https://apps.fcc.gov/edocs_public/a….Thus, these documents should be available under FOIA. Please contact me with any questions or concerns, or if I can provide any more information that would expedite this process. Thank you very much for your time and assistance. The FCC Office of Inspector General’s report from the investigation, begun on or around June 17, 2009, regarding PrimeX Technology, Inc.
Any and all records in any way concerning the compensation of payphone owners by Inter-Exchange Carriers. 1) Any and all records prepared by the FCC and consultants in preparation for the FCC’s Greenhill I Report (“Report”), released in October 2014, specifically the baseline modeled scenarios portrayed, and any others related to the Report conducted before and after that date analyzing channel clearing for each Designated Market Area (“DMA”) which individually or together cast light on the possible impacts on LPTV clearing and new LPTV assignments. 2) Any and all records and written communications among FCC staff or the FCC’s consultants concerning the impact(s) on channel assignments or stranding of LPTV stations specifically for each DMA represented in the Report. 3) Any and all records relating to the “extensive auction simulations”; referred to in fn. 2 on p. 35 of the Report. I request a copy of 2 or 3 Letters of Inquiry issued in the three matters referenced below. I quoted the exact language referencing each Letter of Inquiry (“LOI”) below the table. Democratic Dialing Released March 15, 2013 File No. : EB TCD 12-0004943 DA 13-264; Released March 15, 2013. M.J. Ross Group, Inc., d/b/a PoliticalRobocalls.com File No. : EB-TCD-12-00004353 DA 15-530 Released May 4, 2015; DialAmerica CG Docket No. 02-278 Don’t know if an LOI was issued. I am requesting electronic copies of website server logs for fcc.gov and any publicly-accessible subdomains of fcc.gov for the calendar years 2014 and 2015 (the latter through October 31, 2015). These may be known internally as &quot;Apache server logs,&quot; and would contain basic, non-identifiable information about website visits. If server logs do not exist for the entire period of time I have requested, I request that I be provided with all log files that do exist for that time period. Please contact me if the fees involved exceed $25, in the instance that a waiver is not granted. I request records on the FCC investigation into Hilton Hotels jamming of wifi. I request all Network Outage Reporting System reports filed on 12-25-15. I am requesting all documents filed by in answer to the NALF adopted Dec. 17th, 2015 (NAL 201632960001) in regard to his intentional interference of WARFA net, playing of music recordings etc. I believe these are 31 or 32 pages of response to above referenced NALF that has been filed by, and am I seeking copies of the response thru FOIA. This is a request under the Freedom of Information Act. I hereby request the following records: Information technology (IT) department inventory reports for IT equipment detailing computer hardware in possession of your agency, or any similar records. In particular, inventory reports that detail the models and manufacturers of the computer hardware in your agency’s possession currently and historically. The requested documents will be made available to the general public, and this request is not being made for commercial purposes. In the event that there are fees, I would be grateful if you would inform me of the total charges in advance of fulfilling my request. I would prefer the request filled electronically, by e-mail attachment if available or CDROM if not. Thank you in advance for your anticipated cooperation in this matter. I look forward to receiving your response to this request within 20 business days, as the statute requires. I request that a copy of documents containing a list of the licensees that have notified the Commission of their intention to participate in the upcoming reverse auction, including the station mailing address and bandwidth frequency. A previous request for this information was sent via email to and refused on February 1, 2016. cited Section 6403 (a)(3) of the Spectrum Act of 2012, claiming the law forbids the Commission from disclosing information about broadcast stations that participate in the Incentive Auction until after the auction concludes. This refusal conflicts with Section B.6. of an FCC Public Notice issued on October 6, 2015 titled; Guidance Regarding the Prohibition of Certain Communications During the Incentive Auction, Auction 1000; which states that; Communicating directly or indirectly that a licensee has or has not filed an application to participate in the reverse auction does not constitute communication regarding an applicant’s bids or bidding strategies and therefore repeat my request to obtain a list of licensees that have applied for participation in the reverse auction.